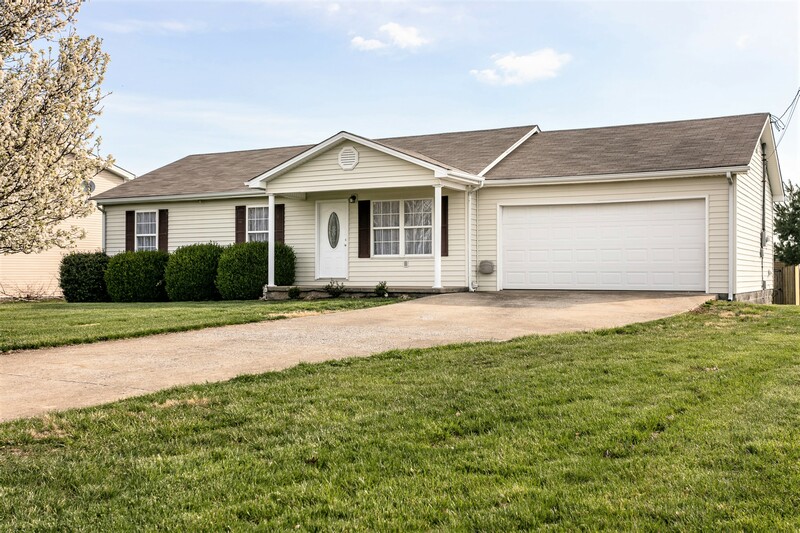 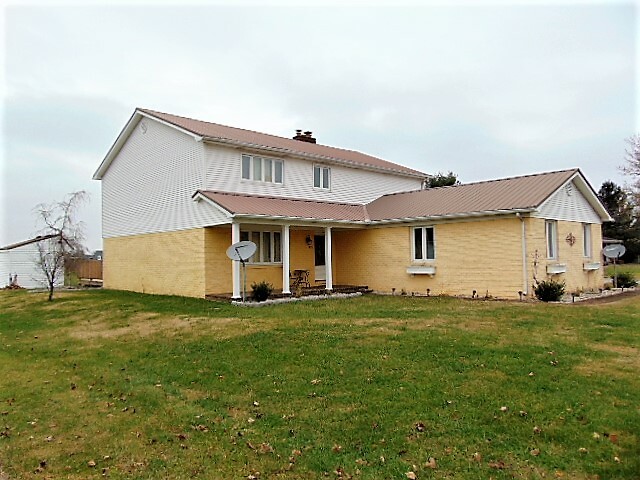 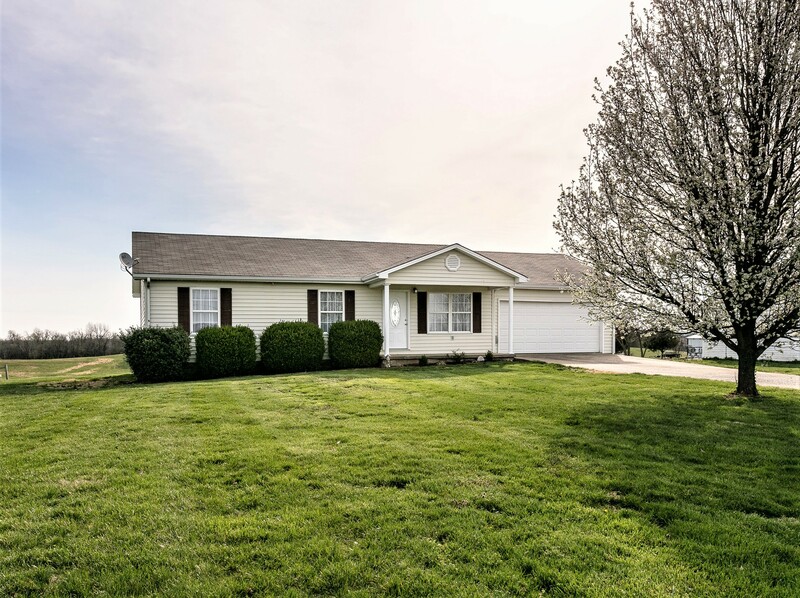 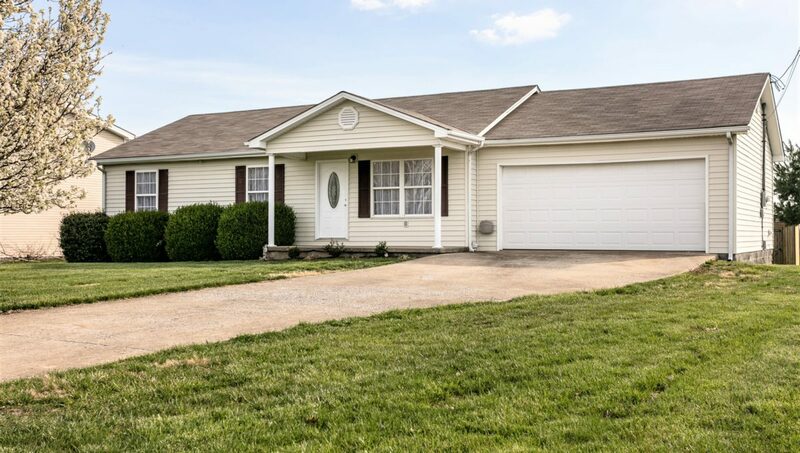 You get the best of both worlds with this neat home…Good ole country living…Just a few minutes from all the conveniences of town! 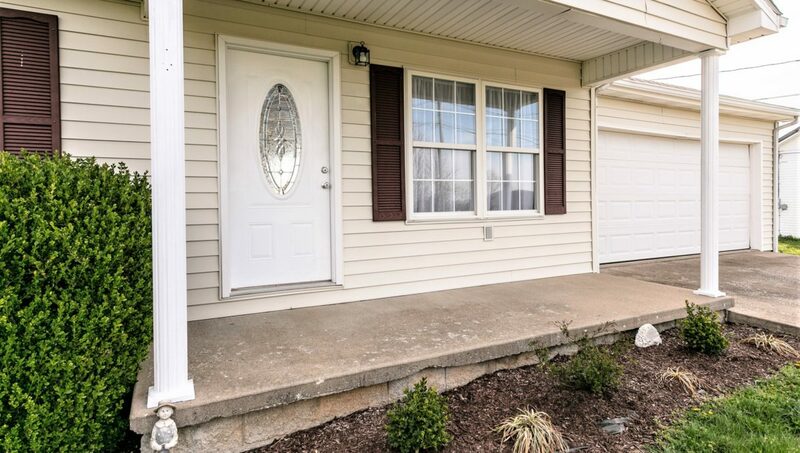 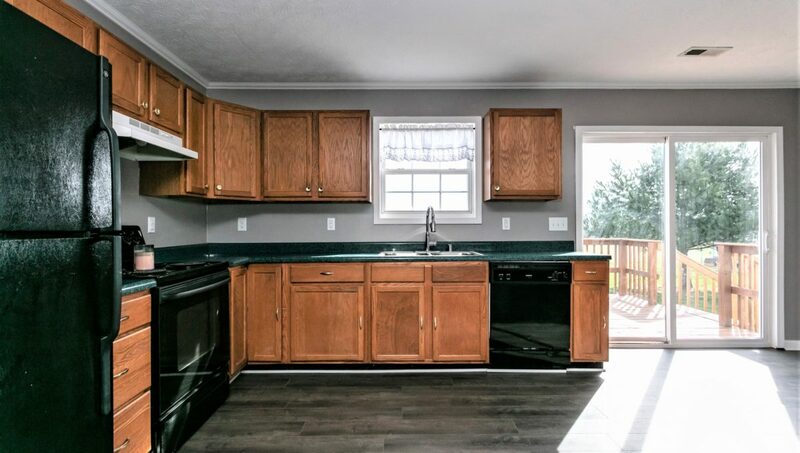 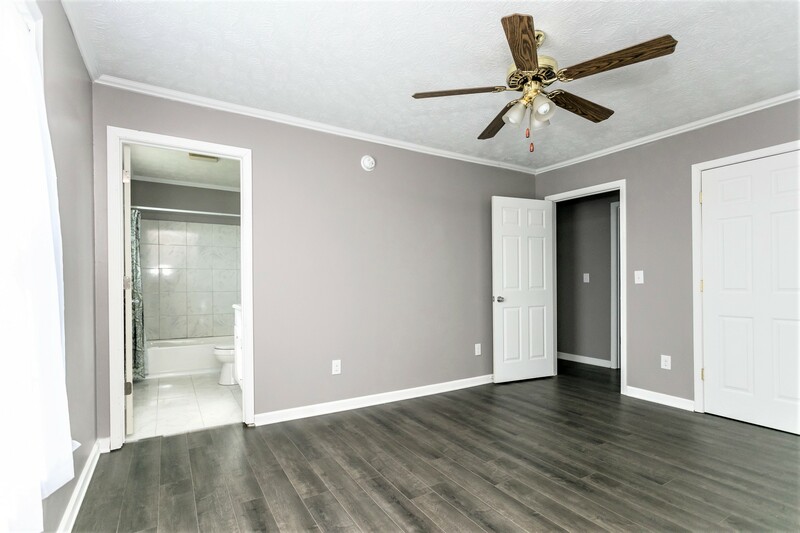 This beautiful home has been renewed & remodeled…It is ready for you to move in and enjoy all it has to offer including an awesome open floor plan desired by many of today’s home buyers! 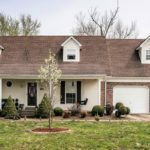 The home features 3 bedrooms (1 a larger master suite w/ its own private full bathroom), a spacious 2nd full bathroom off the hallway to service the other 2 bedrooms…The full length open kitchen & living room combination is the perfect place to take it easy with the family & have conversations while meals are being prepared (kitchen includes the refrigerator, dishwasher & stove)…Plus a large utility room off the kitchen & an attached 2 car garage to keep your vehicles out of the elements! 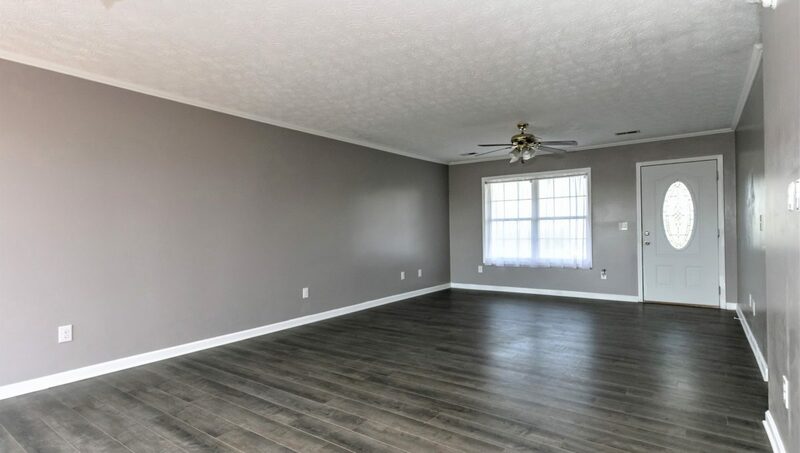 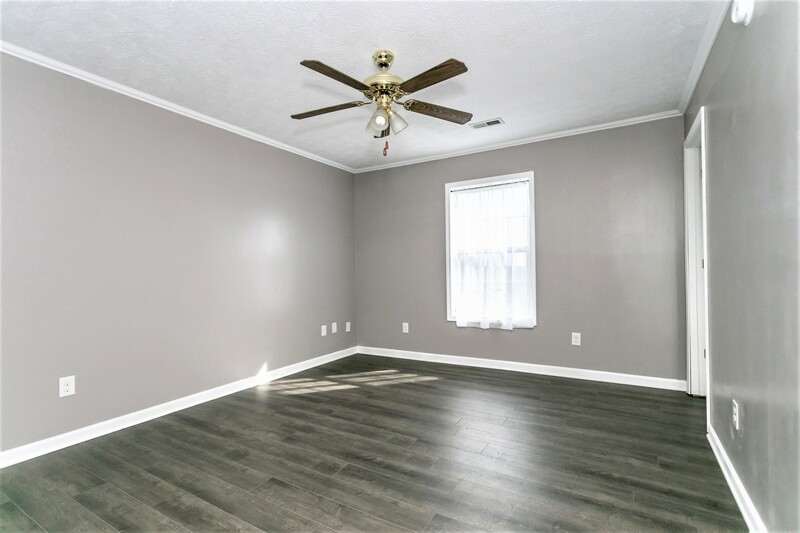 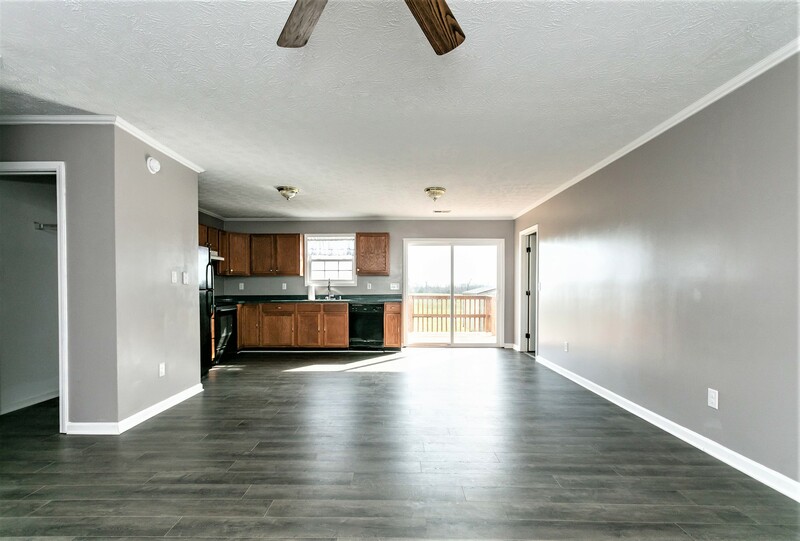 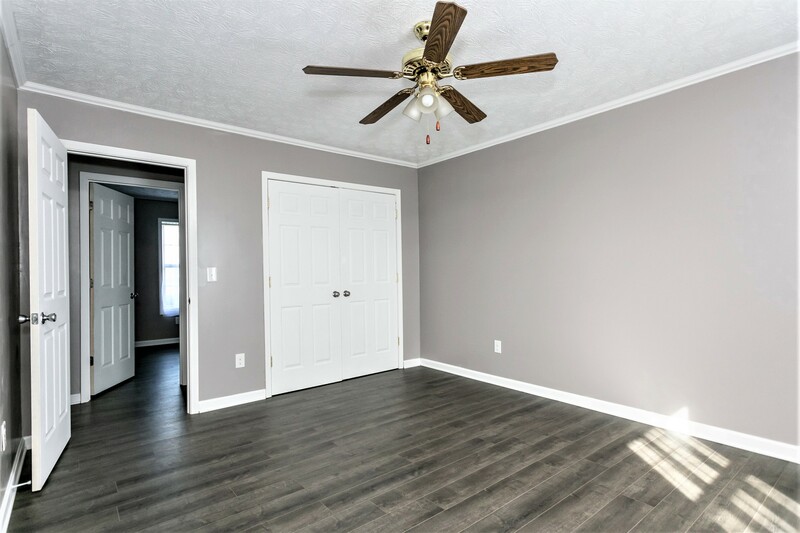 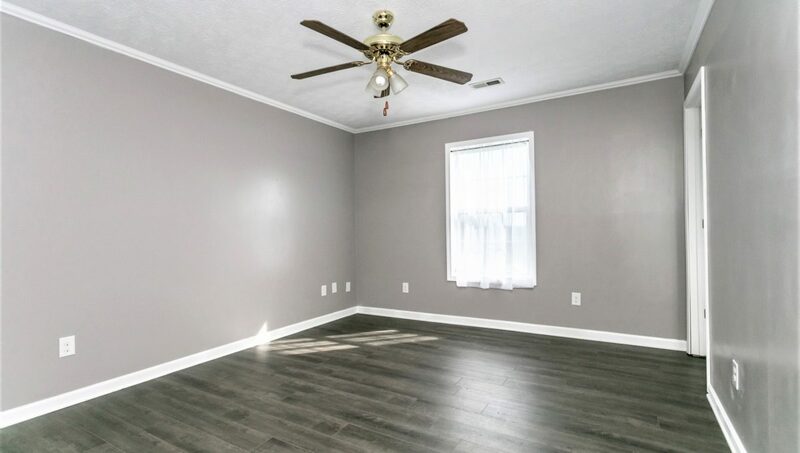 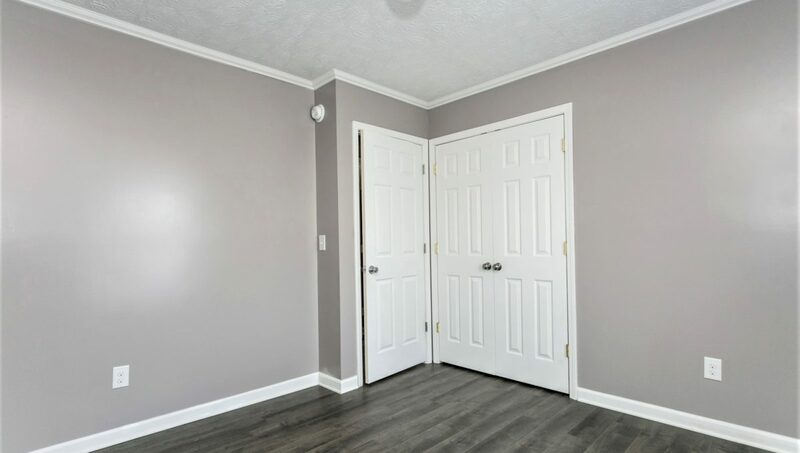 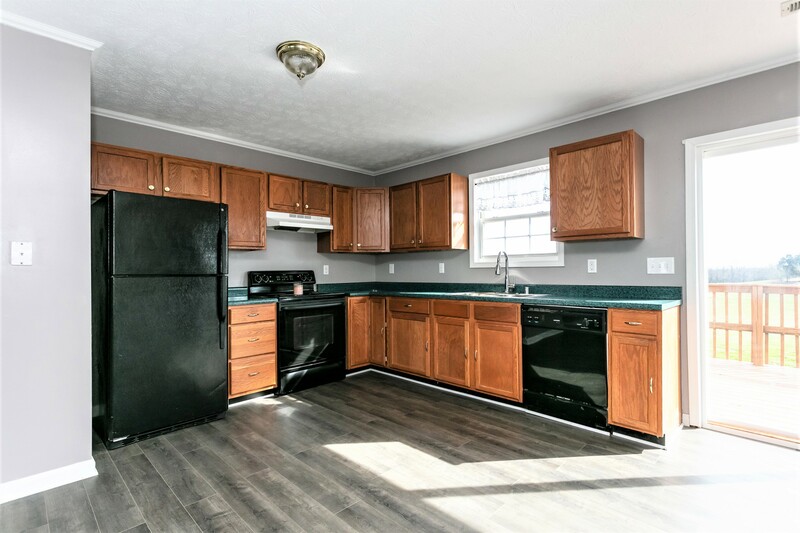 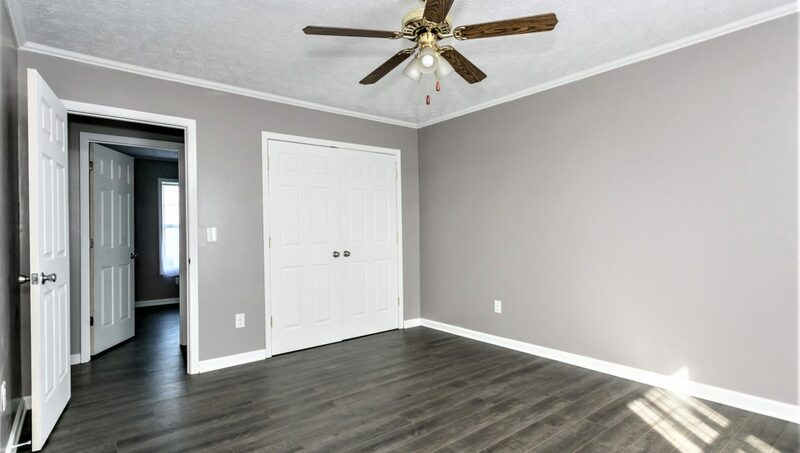 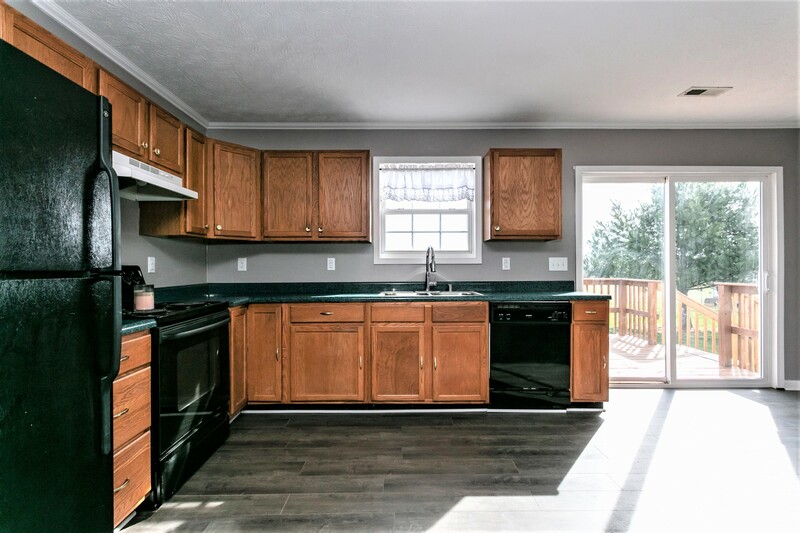 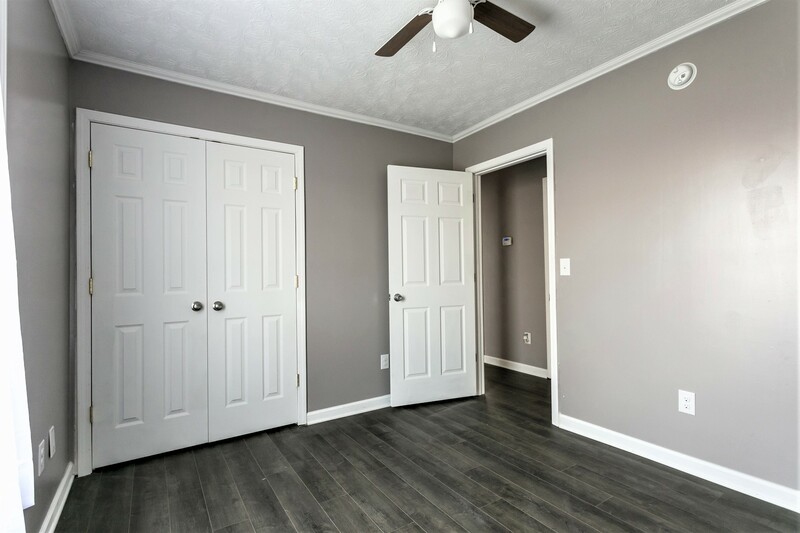 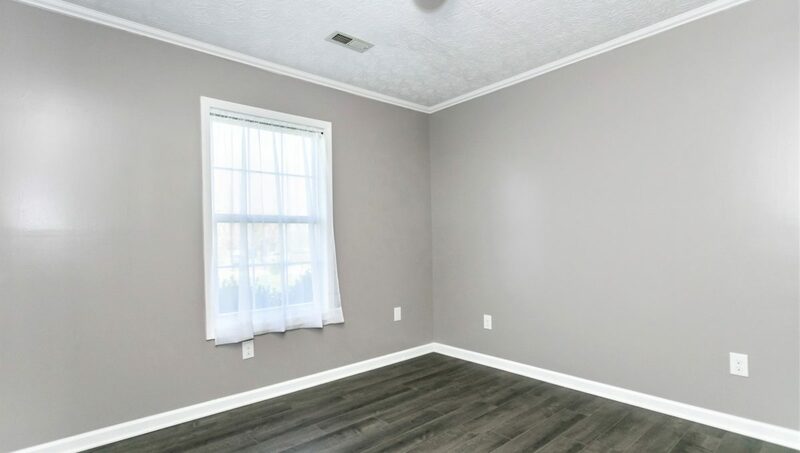 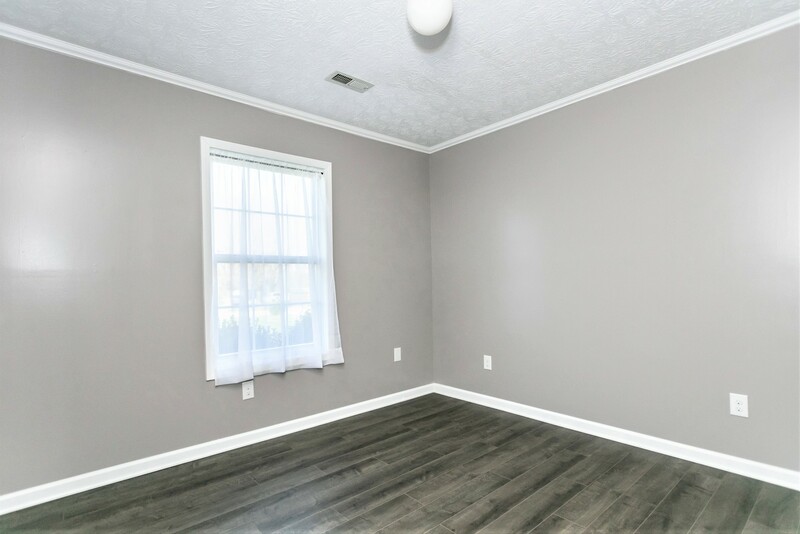 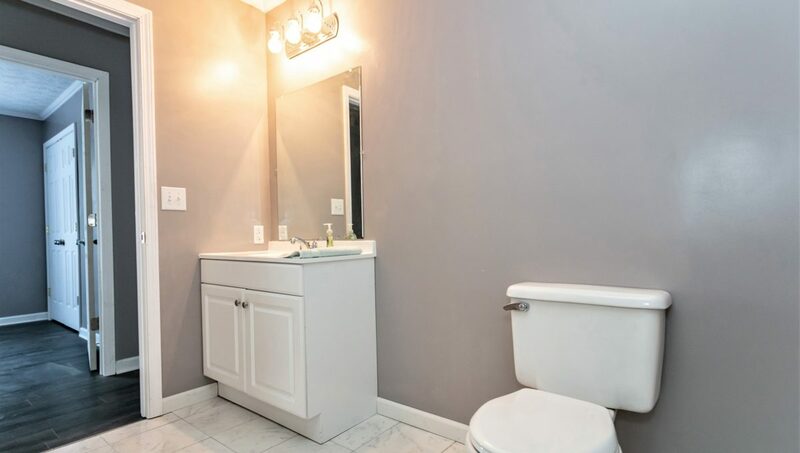 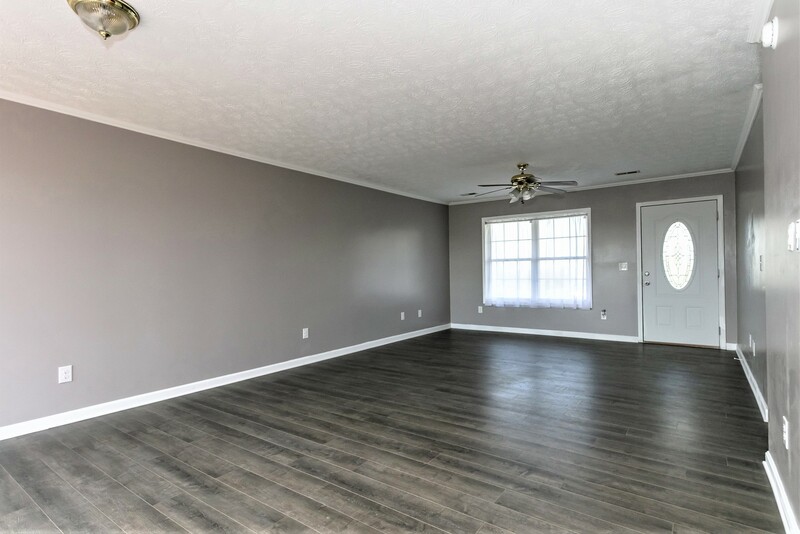 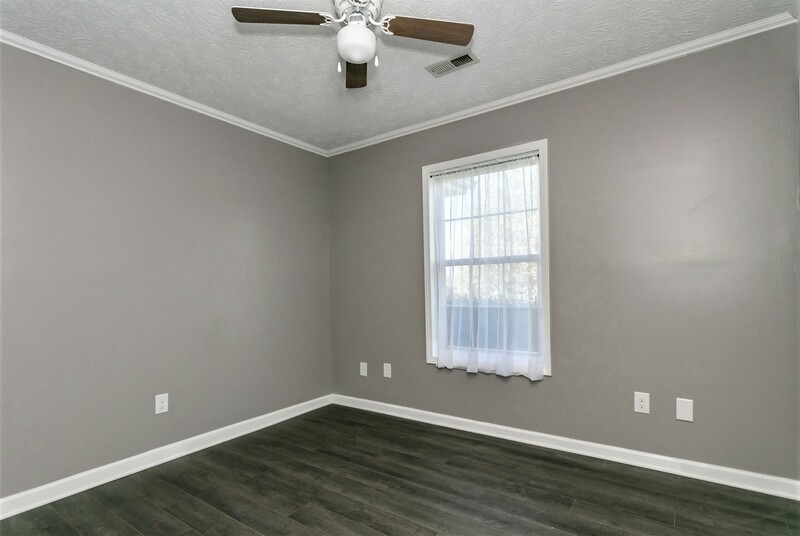 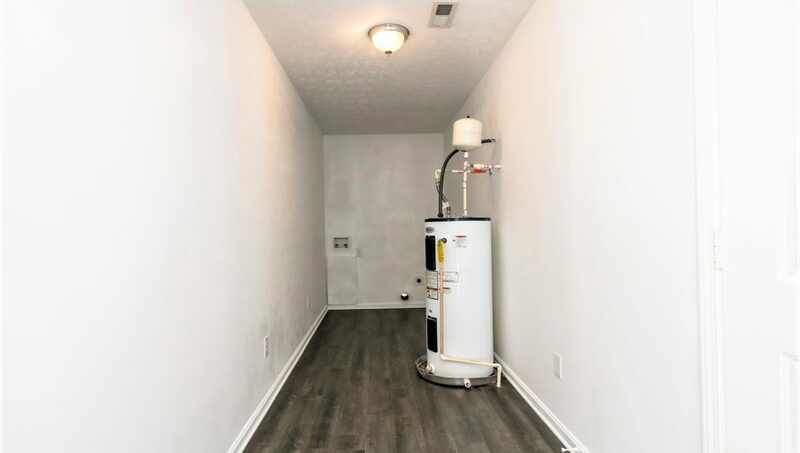 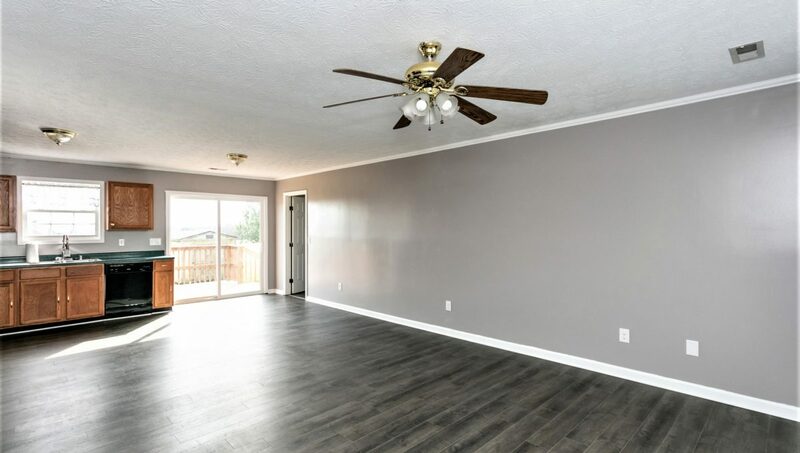 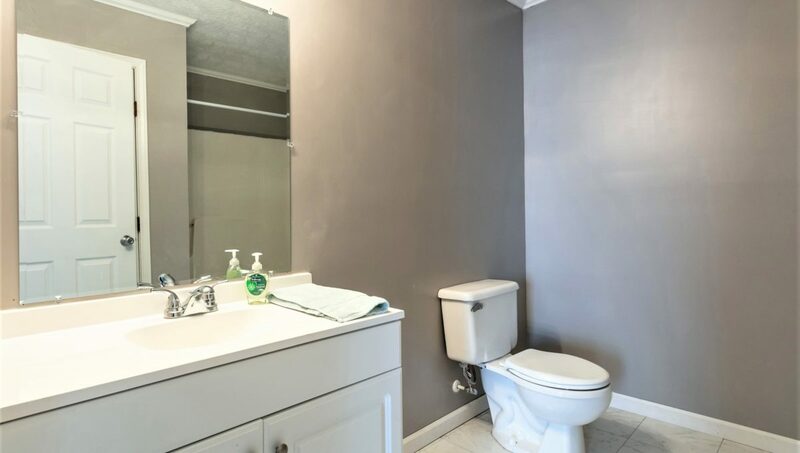 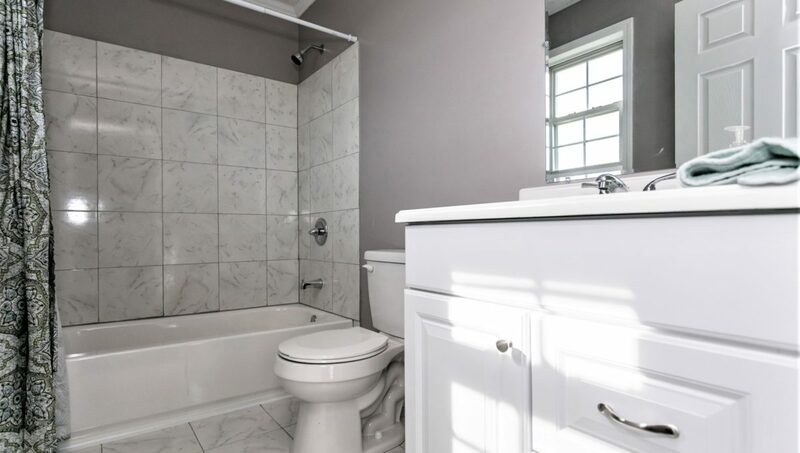 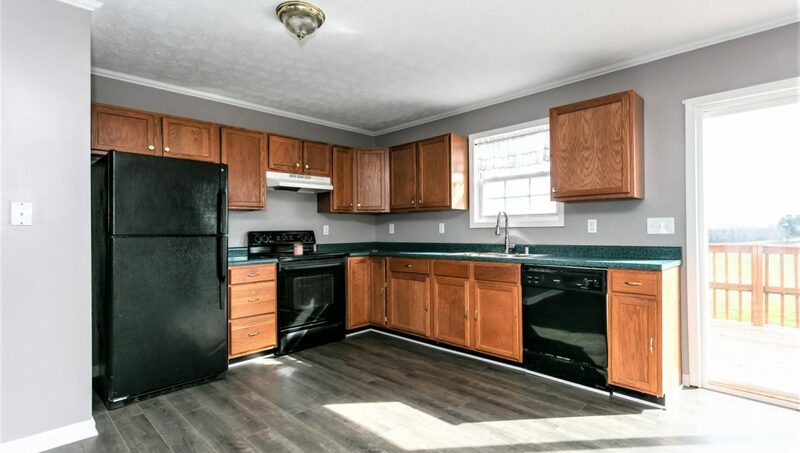 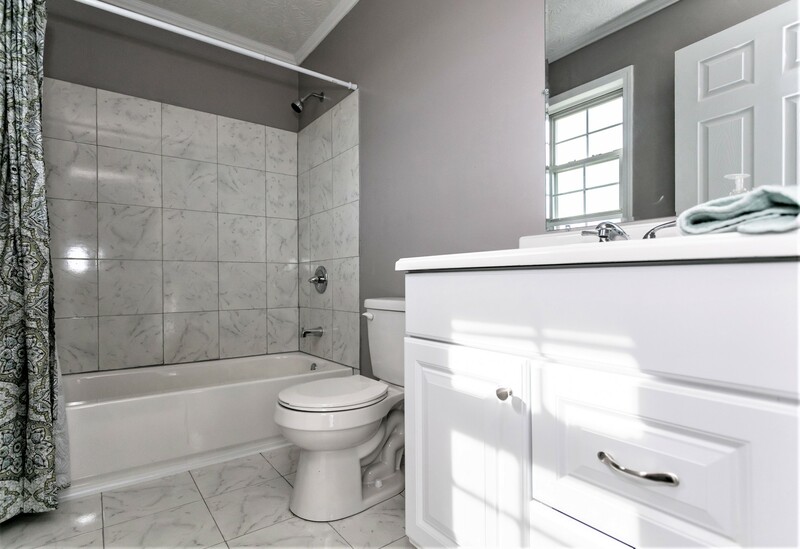 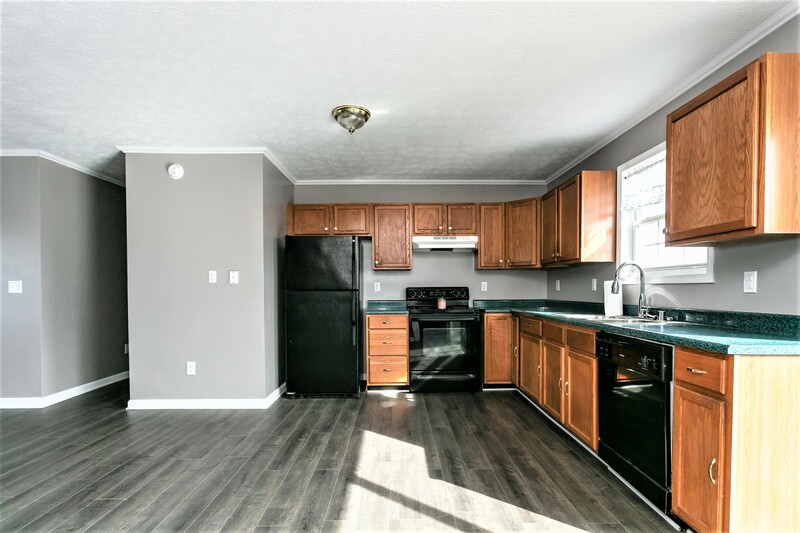 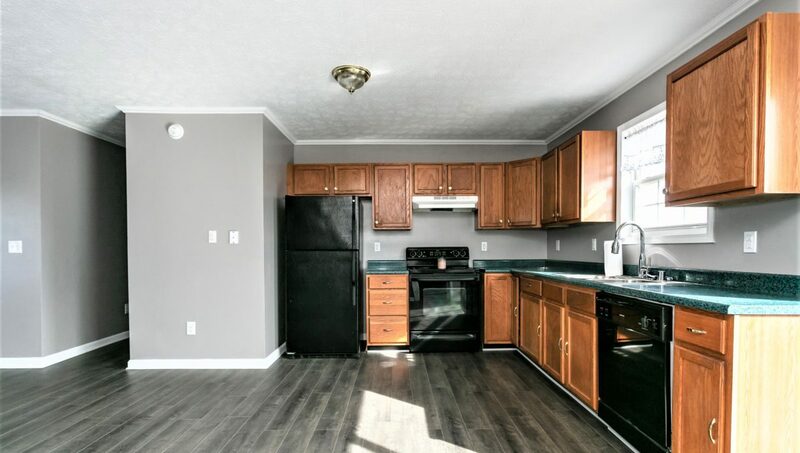 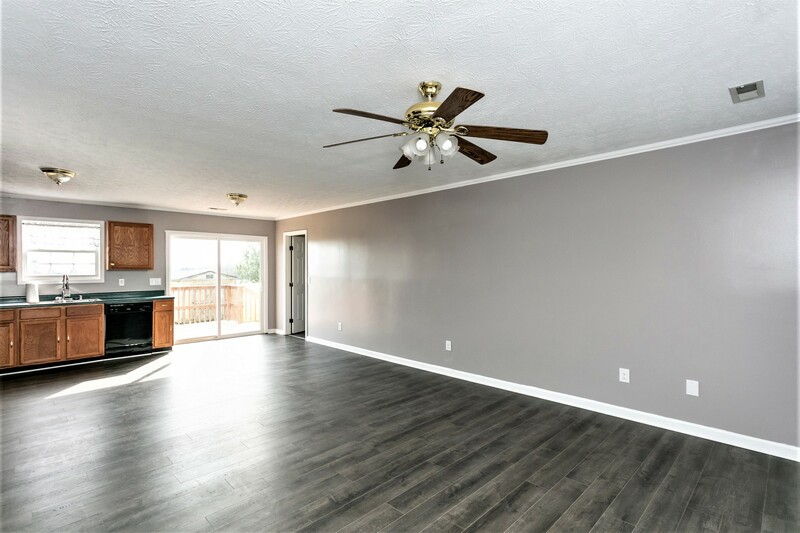 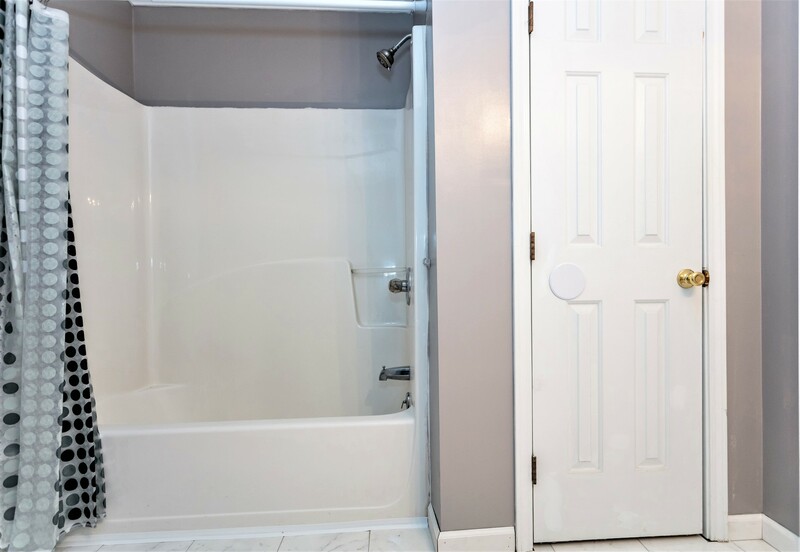 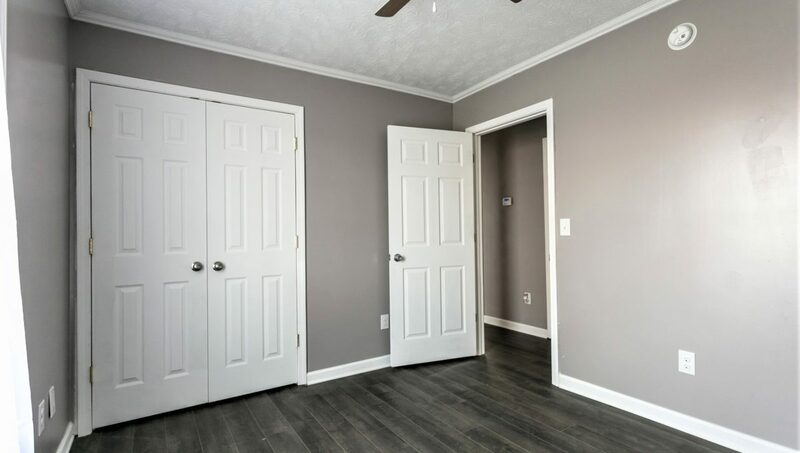 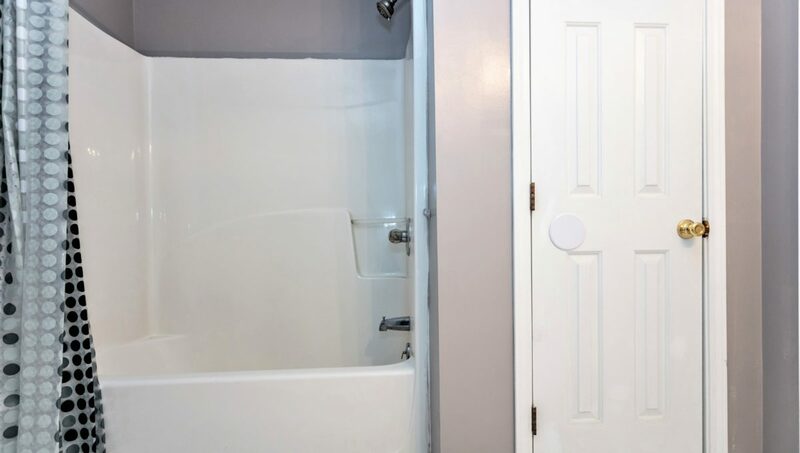 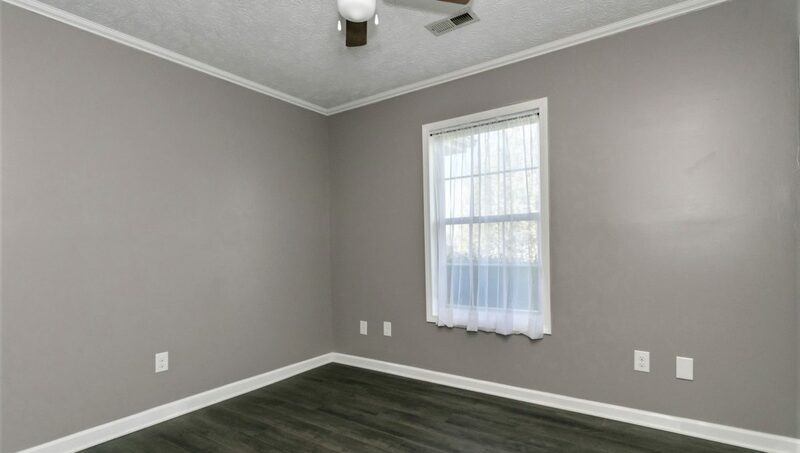 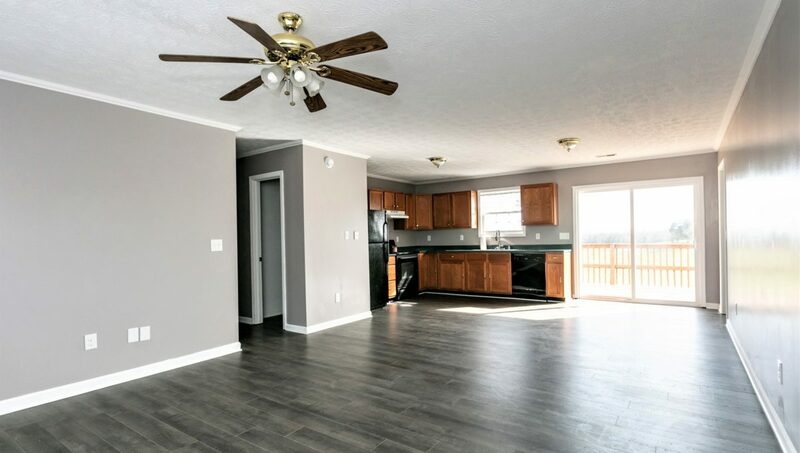 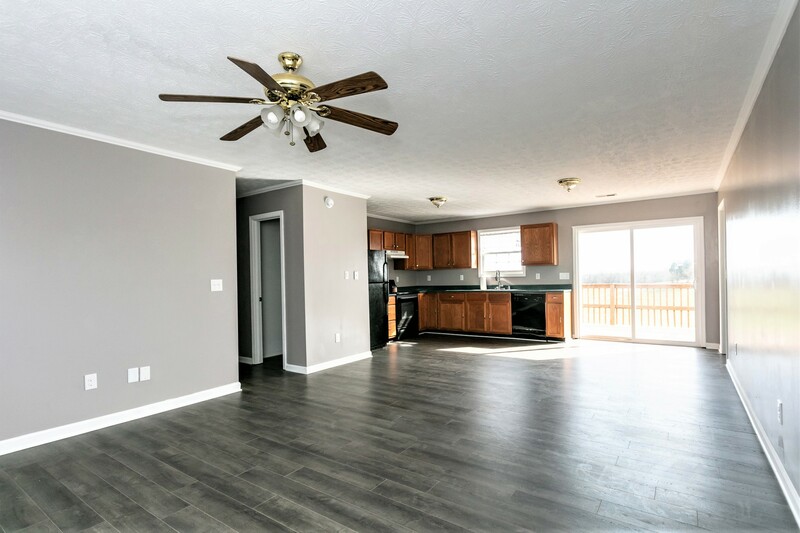 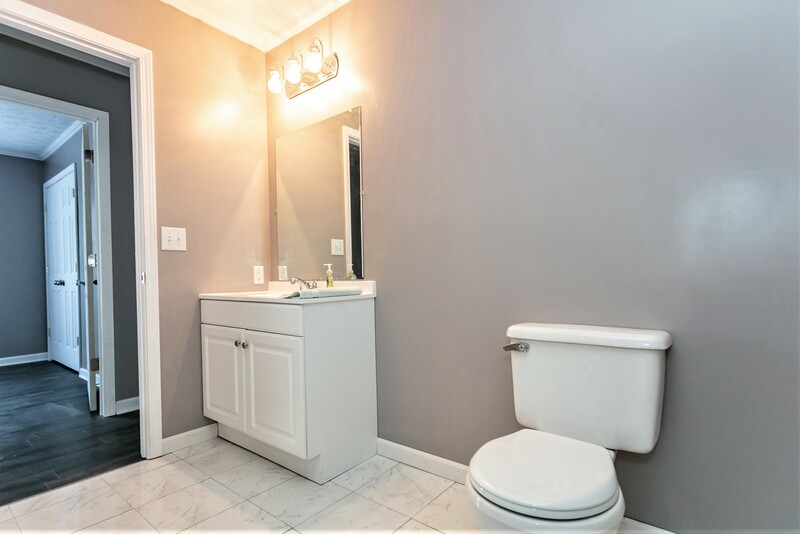 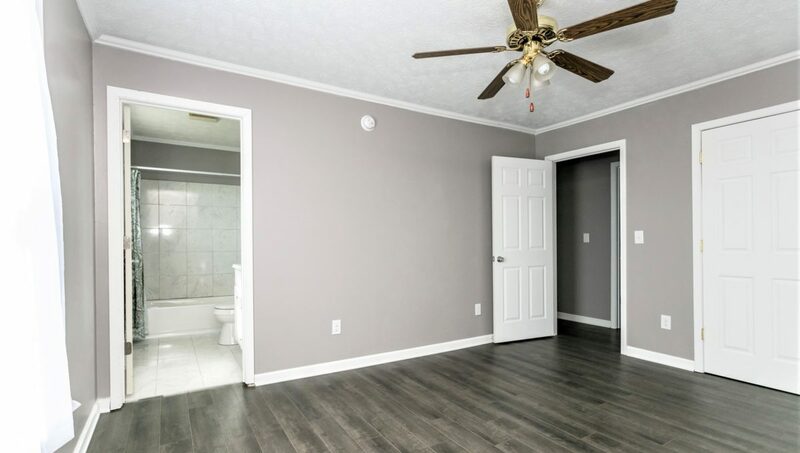 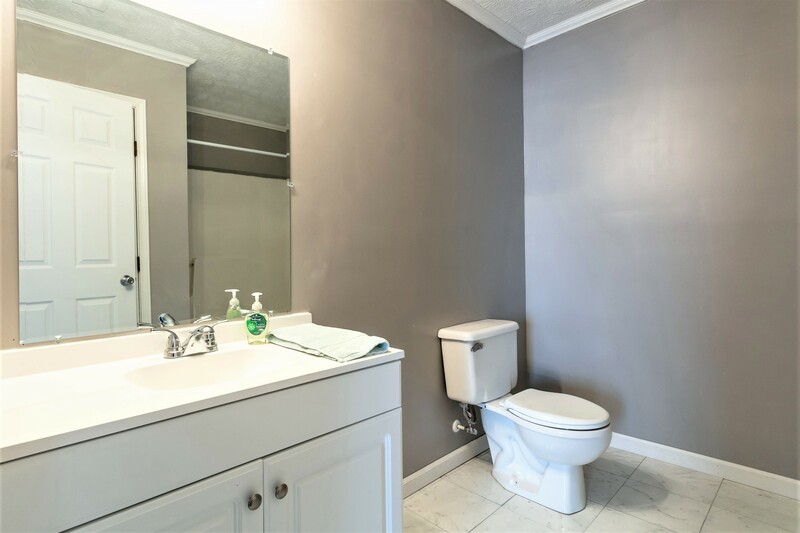 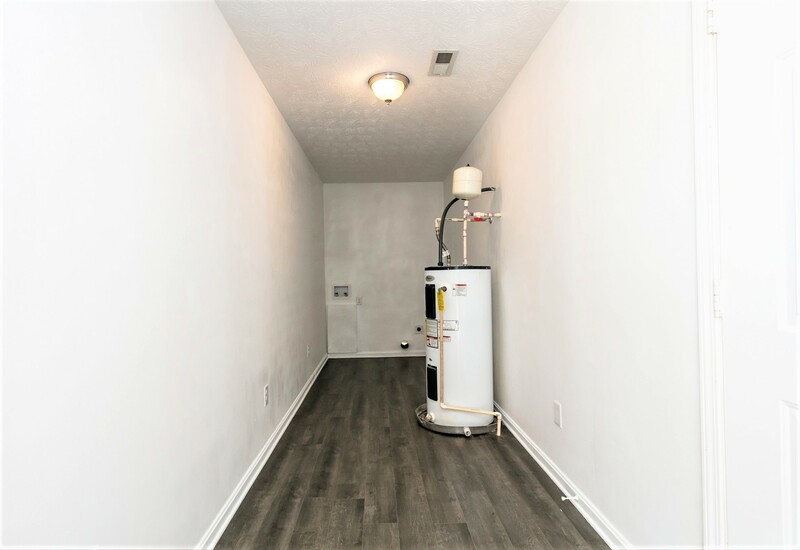 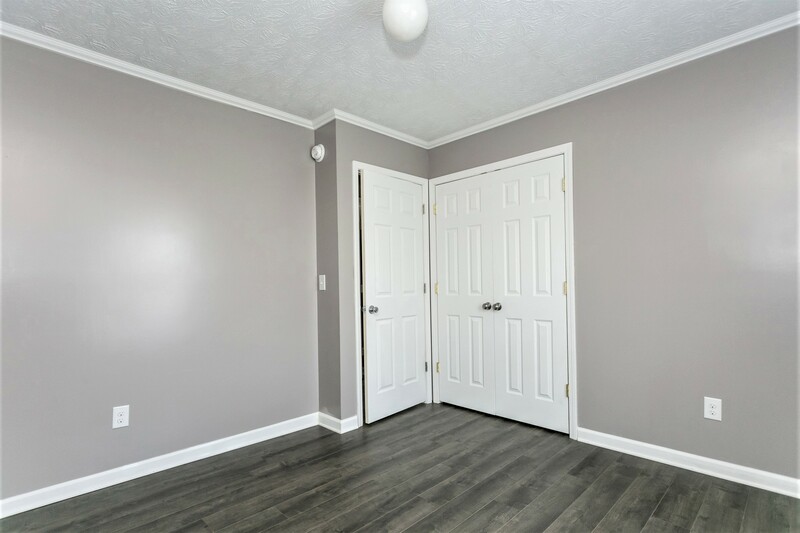 Inside you will love today’s modern colors & gorgeous woodgrain laminate flooring throughout much of the home…Also nice ceramic tile flooring in both bathrooms & additional attic storage space above the garage! 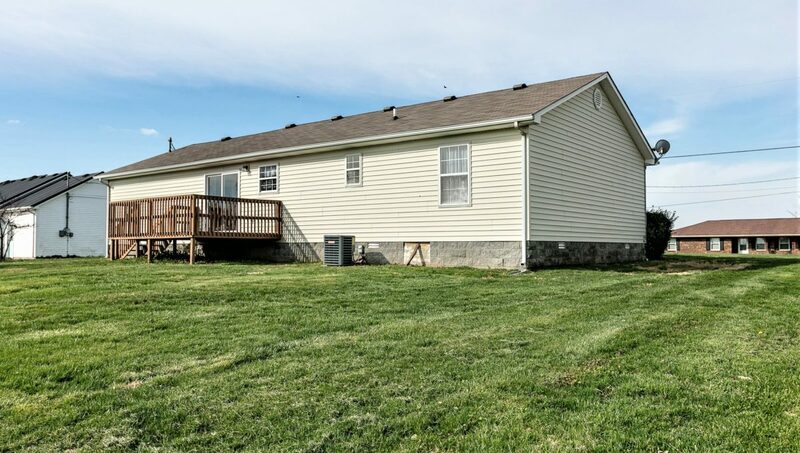 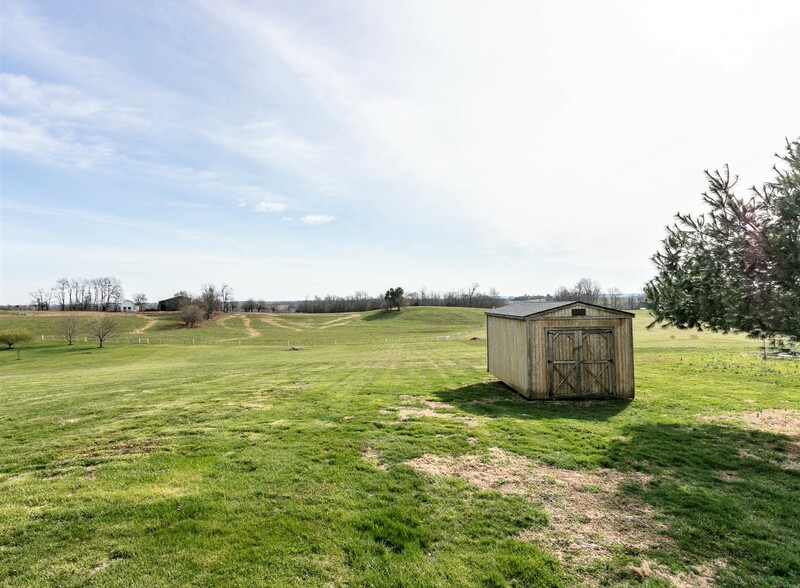 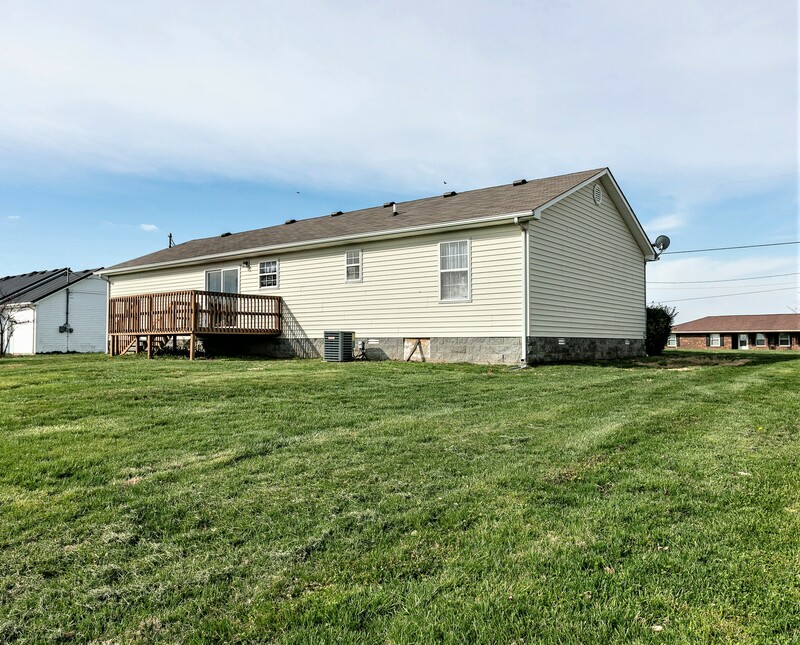 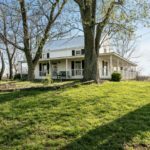 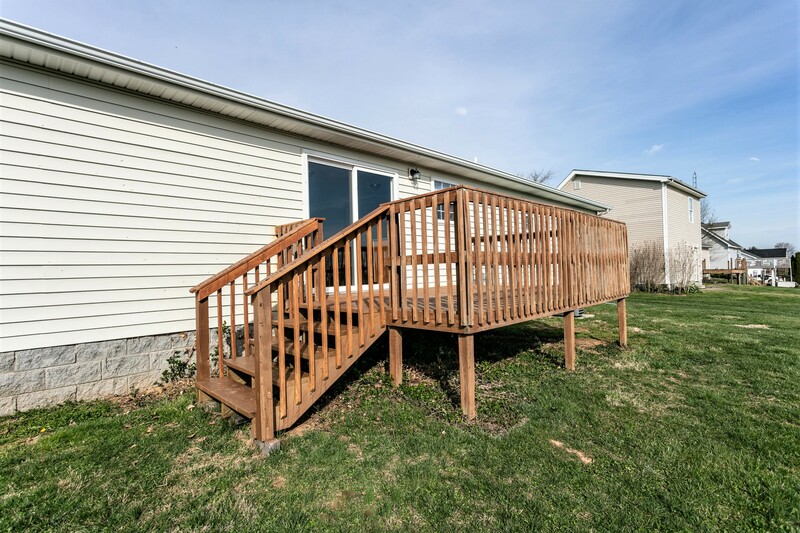 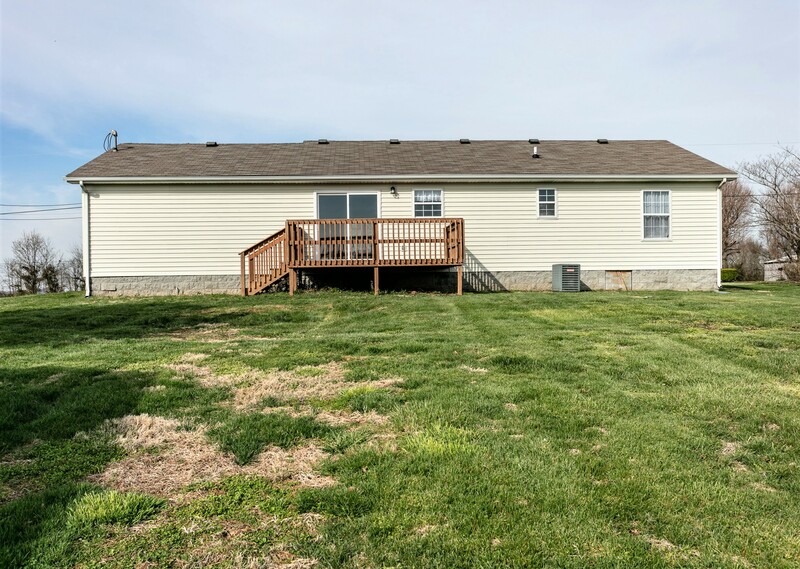 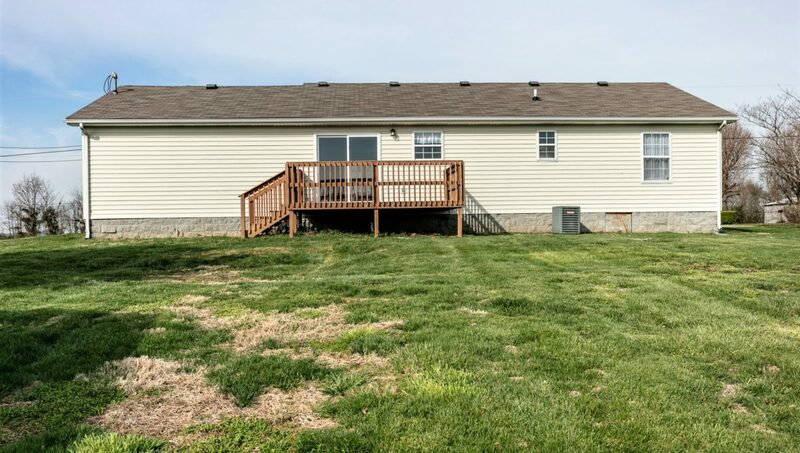 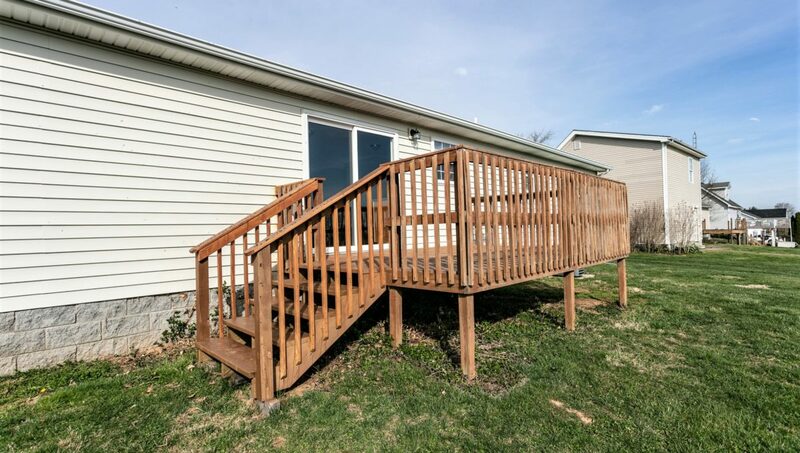 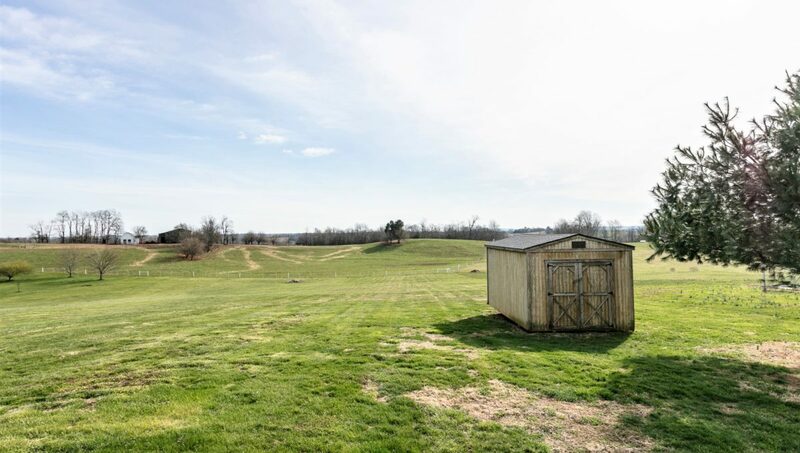 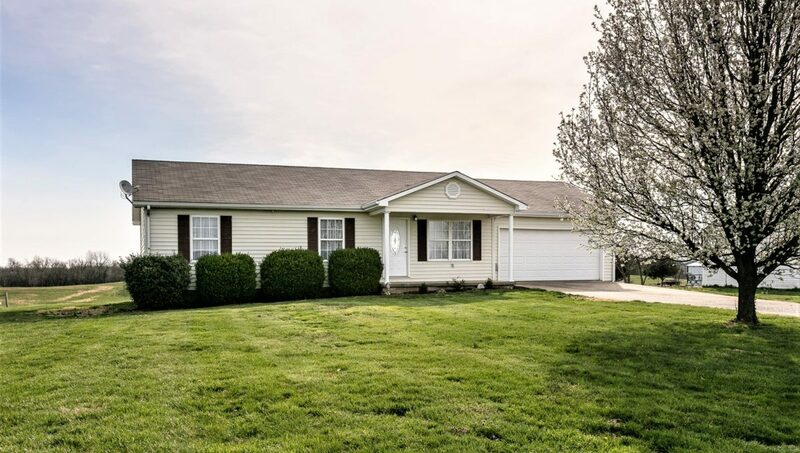 Outside you will love relaxing or entertaining guests on the rear wooden deck which provides shade from the evening sun…Plus a covered front porch, a 10′ X 16′ storage building & those panoramic countryside views of the rolling central Kentucky farm land…All this on an extra deep 1.148 acre (+/-) lot offering plenty of room to spread out! 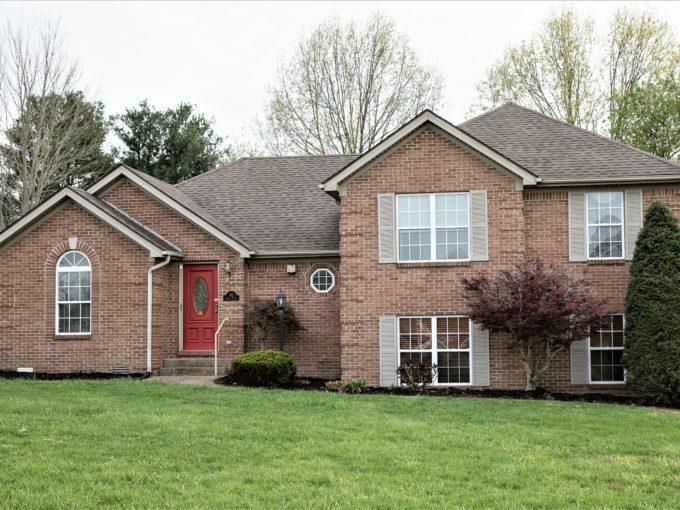 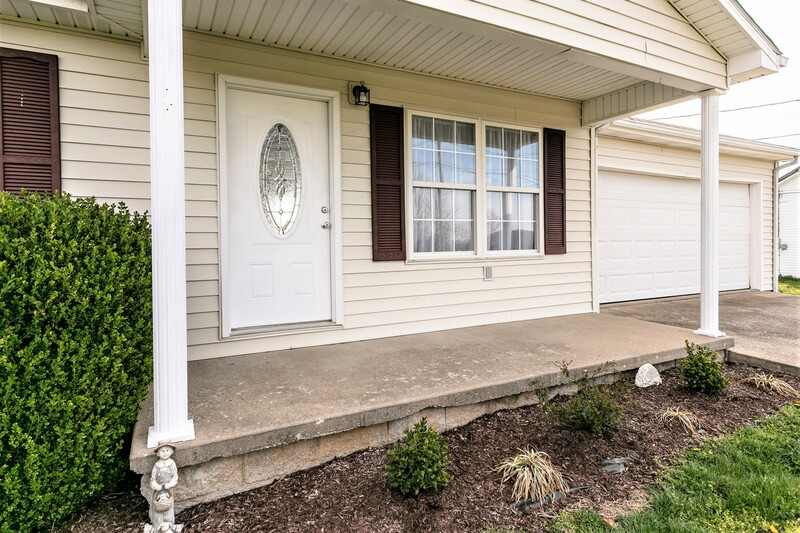 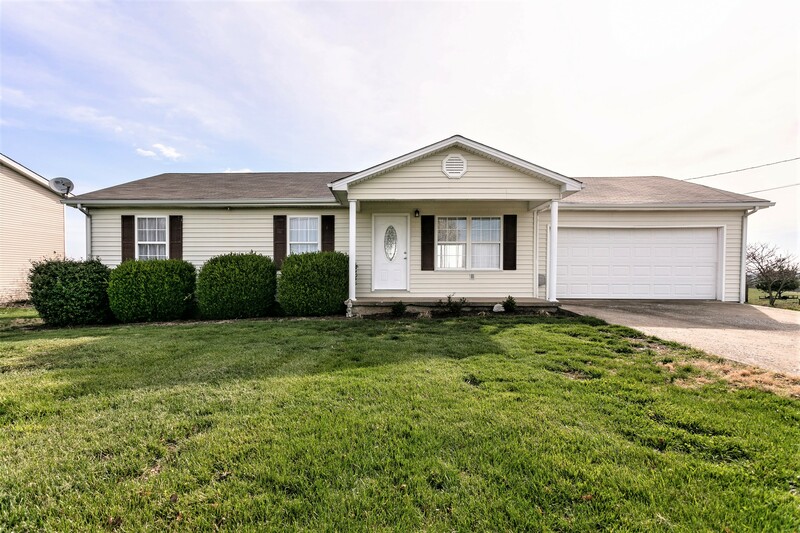 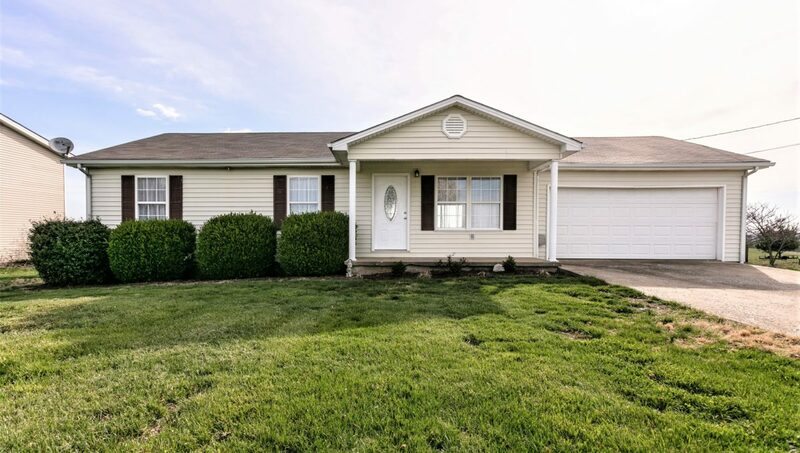 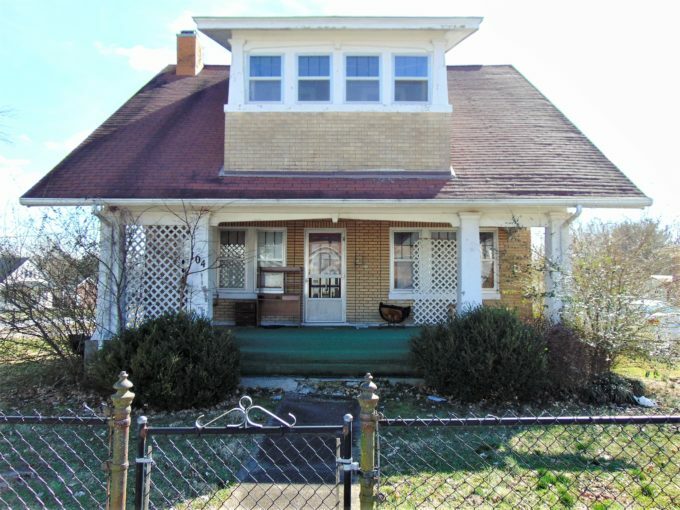 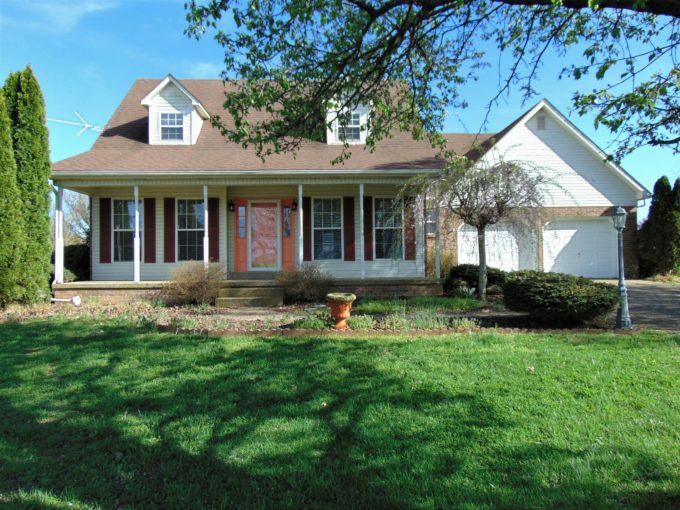 This home offers immediate possession…Call TREY ABELL so you can start moving in soon!